Radhika is the owner of Oasis Business Accounting since 2006, a private accounting consultancy firm. Prior to migrating to Australia, her career in Accountancy began while residing in Montreal, Canada in the Feature Film Industry. With CIMA qualification, she carries with her over 25 years of corporate experience in Accountancy. Prior to forming her own company in Australia, she was the Financial Director for Business Events Sydney for 11 years. Radhika’s experience is mainly in Corporate Finance and Conference Management. Her professionalism and vast expertise ensures precise and timely presentation of financial performance to her clients. 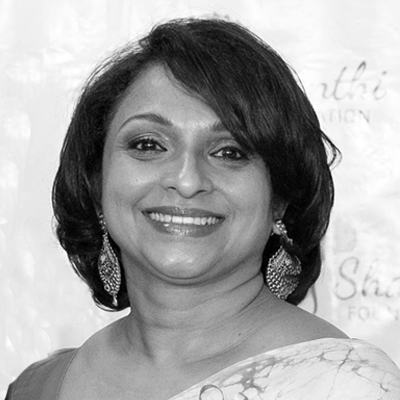 Radhika uses her skills in a voluntary basis to help manage Shanthi Foundation’s financial position of its project portfolio and future growth.